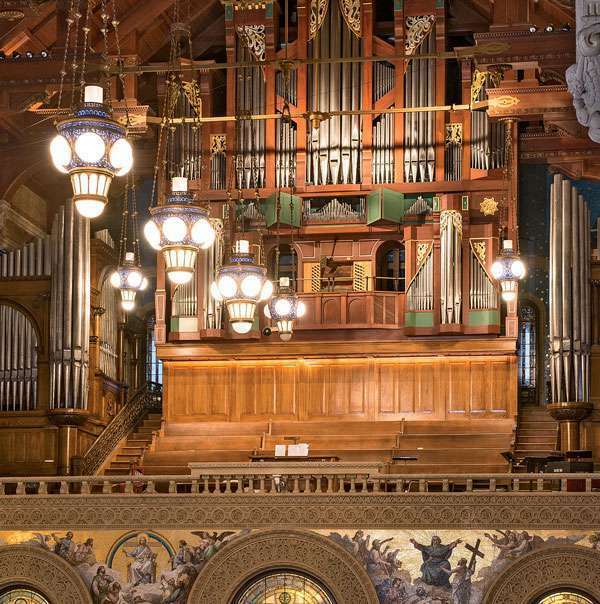 University donors pulled out all the stops to outfit MemChu with a magnificent organ. Should you find yourself sitting in a pew in Memorial Church, contemplating the wonders of the universe, take a moment to glance over your shoulder, raise your eyes up and marvel at one of them within its very walls. 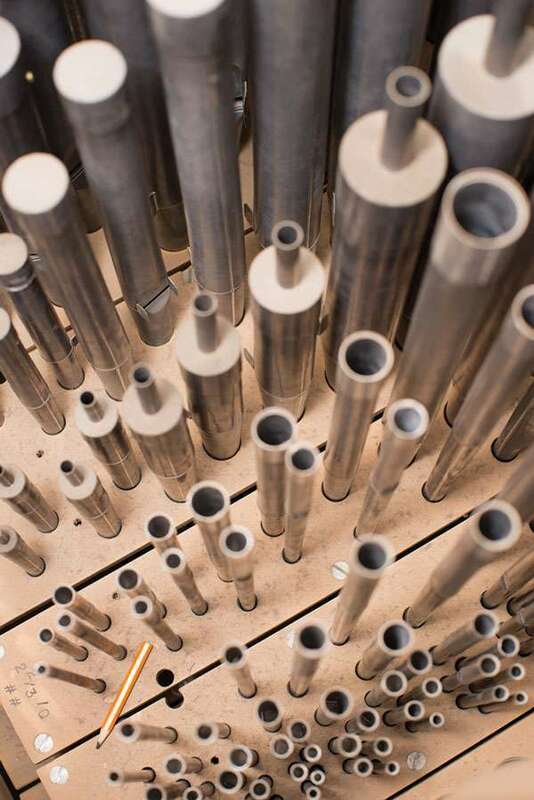 With its 4,422 pipes, the world-class Fisk-Nanney organ dominates the choir loft. The instrument is named for its artisan maker, C.B. Fisk, and the late Herbert Nanney, who served as University organist for 38 years before retiring in 1985. 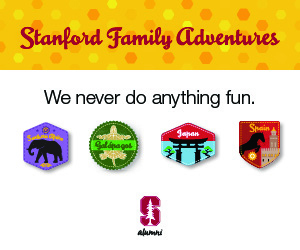 Charles Fisk, a Harvard graduate who came to Stanford for a semester but decided to devote himself to the organ business, founded his company in 1961 in Massachusetts. 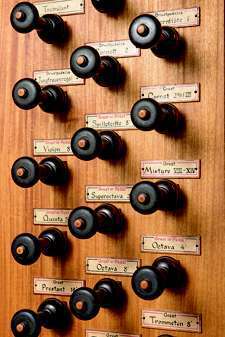 The Fisk-Nanney, installed at Stanford in 1983, was the last organ he saw in his workshop before his death. Also in the loft is the Murray Harris organ (3,702 pipes). It was built in 1901 by Murray M. Harris's company, rebuilt in 1925, expanded in 1933 and restored in 1996. 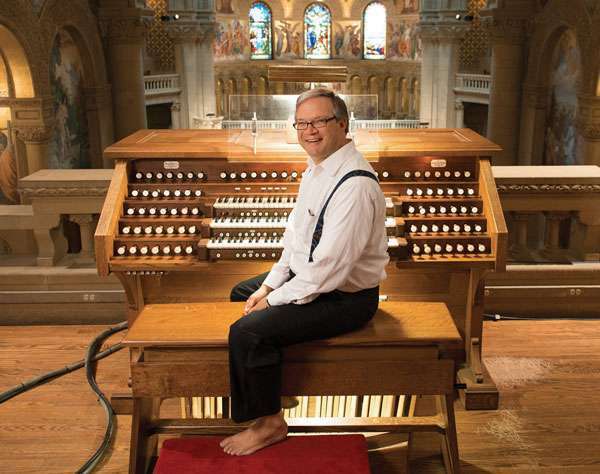 Robert Huw Morgan, University organist since 1999, is the person most often at the console of both organs for Sunday morning services and other events. He also works regularly with about a half-dozen students, who study with him for credit through the music department.